The Garamatic Canopy Operator is a completely new product designed by Garador. Historically Canopy Bow arm conversions were intrusive and had a cumbersome design. In order to provide a solution to the drawbacks of the original mechanisms Garadors engineers have developed the completely new Garamatic Canopy Operator. The original canopy bow arm design reduced drive through height by 140mm. The unique Garamatic Canopy Operator enables full opening height and has the benefit of the door being fully opeartional when in manual mode. At the heart of the system is the GaraMatic 9 making it quick and easy to retrofit to existing Garador & Hormann canopy geared doors. The unique Garador design makes automating Garador canopy doors simple and reliable. The Garador Range of Canopy doors includes the Steel panel Up & Over range, including popular designs such as the Horizon and Georgian, as well as the Garador Design Range which gives customers the opportunity to get a more modern style to the garage door. 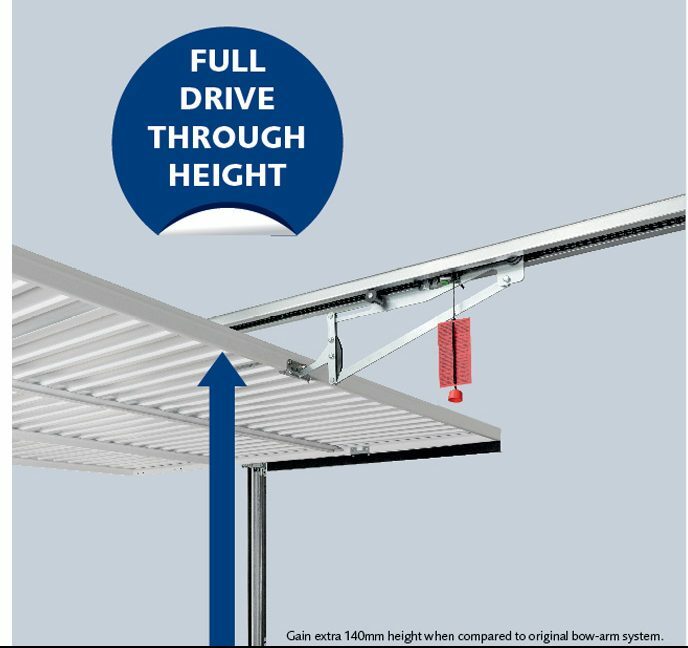 The Garamatic Canopy Operator can also be used on Garador’s range of timber panel Canopy Up & Over Garage Doors, the Timber effect Decograin Up & Over Garage Doors, or the Garador GRP panel Up & Over Garage Doors. The Guardian Range of Secured by design Up & Over Garage Doors are not designed to be automated and therefore unfortunately cannot be used in conjunction with this operating system.